We believe in bringing our customers a product they can be proud to wear. The answer is a very simple yes. The only thing that makes a lab-created diamond different from a natural diamond is its origin. A lab-created diamond is “grown” inside a lab using cutting-edge technology that replicates the natural diamond growing process. The result is a man-made diamond that is chemically, physically, and optically the same as those grown beneath the Earth’s surface. 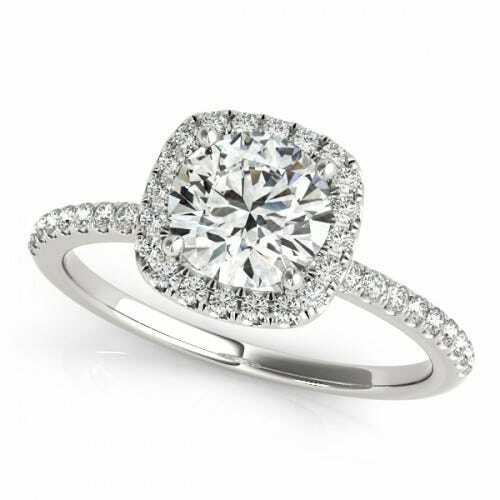 If we compare them to other popular diamond simulants, it’s obvious that manufactured diamonds, in fact, the real deal. For every carat of diamond that is mined, nearly 100 sq ft of land is disturbed and almost 6000 lbs of mineral waste is created. No diamond is free, but due to the shorter supply chain, lab-grown diamonds can be anywhere from 20-30% less expensive than mined diamonds. HOW ARE LAB-CREATED DIAMONDS GROWN? Mined Diamonds Geologists believe that diamonds formed deep within the Earth between 1 billion to 3 billion years ago. While they don’t know exactly how those diamonds came to be, they believe the process starts with carbon dioxide that is buried roughly 100 miles beneath the Earth’s surface. The carbon dioxide is exposed to heat in excess of 2,200 degrees Fahrenheit and put under extreme pressure of roughly 727,000 pounds per square inch. The diamonds are then transported from deep within the Earth’s core to the surface by way of deep volcanic explosions. Lab-created Diamonds There are two processes labs use to grow diamonds - High Pressure-High Temperature (HPHT) and Chemical Vapor Deposition (CVD). HPHT diamonds are made using one of three manufacturing process: a belt press, the cubic press, and the split-sphere (BARS) press. All of these processes create an environment of extremely high pressure and temperature conducive to diamond growth. An HPHT diamond begins as a small diamond seed that is placed into carbon. Using one of the manufacturing processes above, the seed is exposed to temperatures of about 1500 degrees Celsius and pressurized to approximately 1.5 million pounds per square inch. The pure carbon melts and starts to form a diamond around the starter seed. 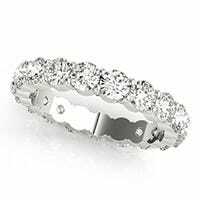 It is then carefully cooled to form a pure carbon diamond. A CVD diamond begins as a thin slice of diamond seed, which is often an HPHT produced diamond. The diamond seed is placed in a sealed chamber and heated to around 800 degrees Celsius. The chamber is filled with a carbon rich-gas, like Methane, and other gases. The gases are ionized into plasma using technology similar to that of microwaves or lasers. The ionization breaks the molecular bonds in the gases, and the pure carbon adheres to the diamond seed and slowly crystallizes. HOW ARE LAB-CREATED DIAMONDS CERTIFIED AND GRADED? Lab-created diamonds are graded and certified using the same process as mined diamonds. Diamonds are sent to a gem lab that specializes in grading diamonds. The majority of these labs grade using the 4c’s (cut, clarity, color, and carat — more on those later), however, a select few use their own criteria. The diamond grading process is roughly the same for all of the diamond certification labs. Each diamond is graded independently by several gemologists at the lab. The individual grades are compiled and analyzed to determine the final grade. This process is designed to provide each diamond with an unbiased grade. However, it’s not uncommon for a diamond to get a different grade, not only from a different lab but from the same lab if sent back for a second grading. 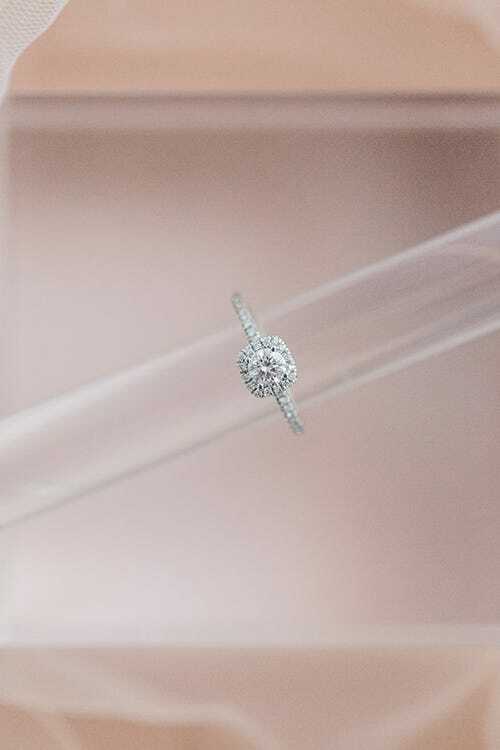 For this reason, there are a lot of differing opinions amongst consumers and diamond retailers as to which lab is the “best.” But, it’s important to keep in mind that those opinions are completely subjective. Each lab, much like anything in life, has its pros and cons. A diamond retailer chooses which lab they use because they trust that lab to grade diamonds fairly. If diamond certification is an important factor in your purchase, you should have a candid conversation with your jeweler about which lab they use and why. More than anything, jewelers want you to be confident in your purchase, so don’t be afraid to ask questions in order to find the best lab-created diamonds for your engagement ring or jewelry. A diamond is evaluated using the 4c’s - cut, clarity, color, and carat. Basically, they judge the diamond on how well it has been cut down from its raw form into a jewel, how flawless and clear it is, and its size. Below you’ll find an explanation of each category and the different measurements used for each. Less expensive The price of a lab-created diamonds tends to be less than mined diamonds. However, this does not mean that a lab-created diamond is “cheap.” In fact, the capital costs for lab-grown and mined diamonds are pretty similar. So, why are lab-created diamonds less expensive? Mined diamonds and lab-created diamonds have the exact same costs when it comes to cutting, polishing, and inspection. However, up to that point, the costs and processes are very different. Mined diamonds have a long supply chain. To get a diamond from its raw form to a retail-ready gemstone requires miners, distributors, cutters, polishers, jewelry manufacturers, and retailers. On the flip side, the lab-created diamond supply chain is much shorter by skipping the mining process. To put it simply, a lab-created diamond touches fewer hands, making it ultimately less expensive. Ethical Several years ago, the mined diamond industry came under scrutiny with unethical production practices were exposed. These diamonds, sometimes referred to as blood or conflict diamonds, were funding violence and exploiting miners and their families. Thanks to the Kimberley Process, established in 2003, these unethical practices have been significantly reduced. In fact, it’s estimated that 99.9% of natural diamonds are now conflict-free. 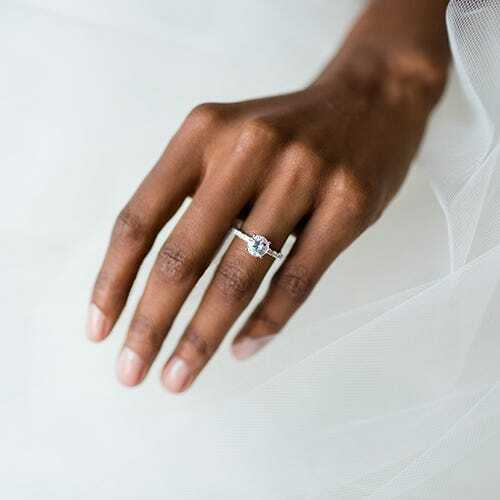 However, if avoiding conflict or blood diamonds is important to you, lab-created diamonds provide peace a mind that a natural diamond often cannot, and you may find reassurance in knowing the exact origin of your diamond. Environmentally Kind As with the mining of any natural resource, the diamond mining has a significant impact on the environment. To be fair, diamond mining companies are fully aware of that impact and have taken steps to try to minimize the effect they have on the ecosystems around them. However, lab-created diamonds are inherently and significantly less detrimental to the environment as it takes considerably less energy to grow a diamond in a lab than it does to dig it out of the ground. In fact, it is actually in the interest of the growers to minimize the amount of energy they use in the process to save money and decrease their costs. As lab-created diamonds continue to grow in popularity, diamond shoppers will be asking themselves this exact question. But, the only one who can answer that question is the shopper. It all boils down to what is important to you. You may choose a mined diamond because you feel they hold a certain significance and are one of nature’s miracles with a mysterious origin. Or, you may be attracted to a lab-created diamond because you feel they signify a modern love and the incredible progression of technology. The true significance of the diamond you choose isn’t in its origin. It’s not how much you paid. It’s not how it’s graded. It’s not its size. 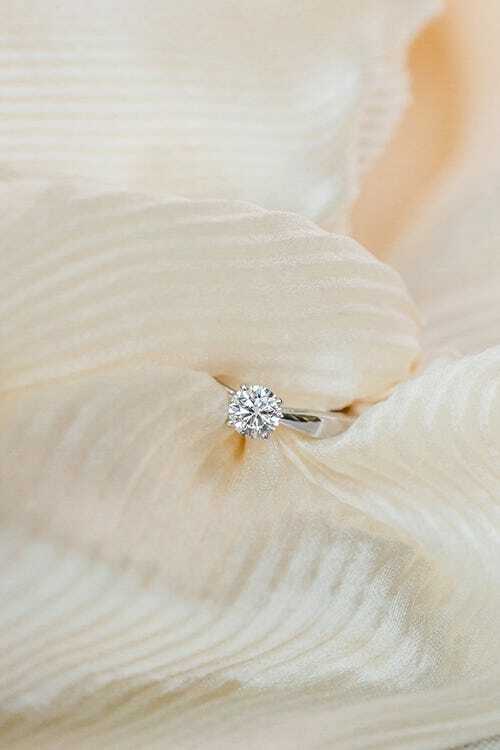 The significance of the diamond you choose is the love it represents. We’ve been in the jewelry business for over 100 years, and our passion from the beginning has always been diamonds, jewelry, and caring for you, our customer. Because of this, we have chosen to design all of our jewelry using lab-created diamonds. 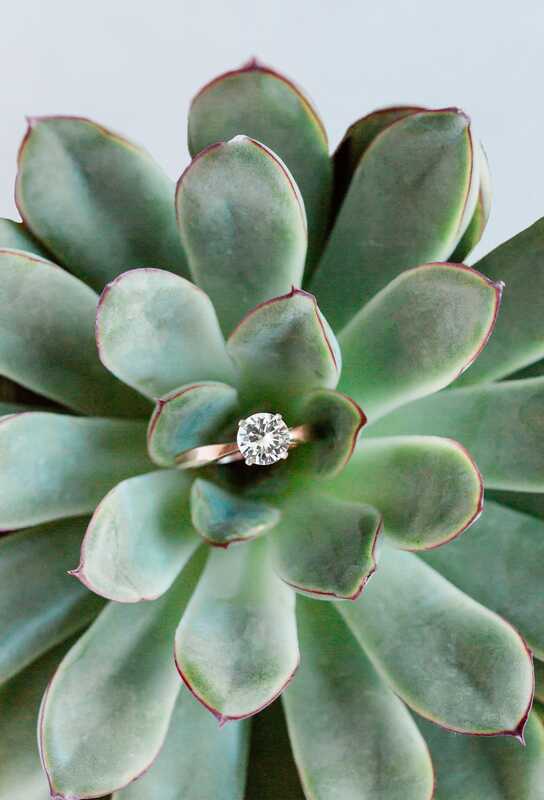 Whether it’s for an engagement ring, a unique wedding band, or any other kind of jewelry, we believe lab-created diamonds offer you a choice - the opportunity to choose a diamond that you can trust to be high quality, affordable, ethical, environmentally friendly, and backed by a 100-day return policy. They both produce beautiful, high-quality gemstones, each with an intriguing history, that represent the best feeling in the world - love. Regardless, we understand that diamonds are a significant investment, and you want (and deserve) the knowledge you need to make an informed purchase. We designed this guide to be a comprehensive resource to help you learn more about lab-created diamonds. We’ll cover how lab-created diamonds compare to mined diamonds in terms of quality, how they are made, and how their origin makes them different financially, ethically, and environmentally.